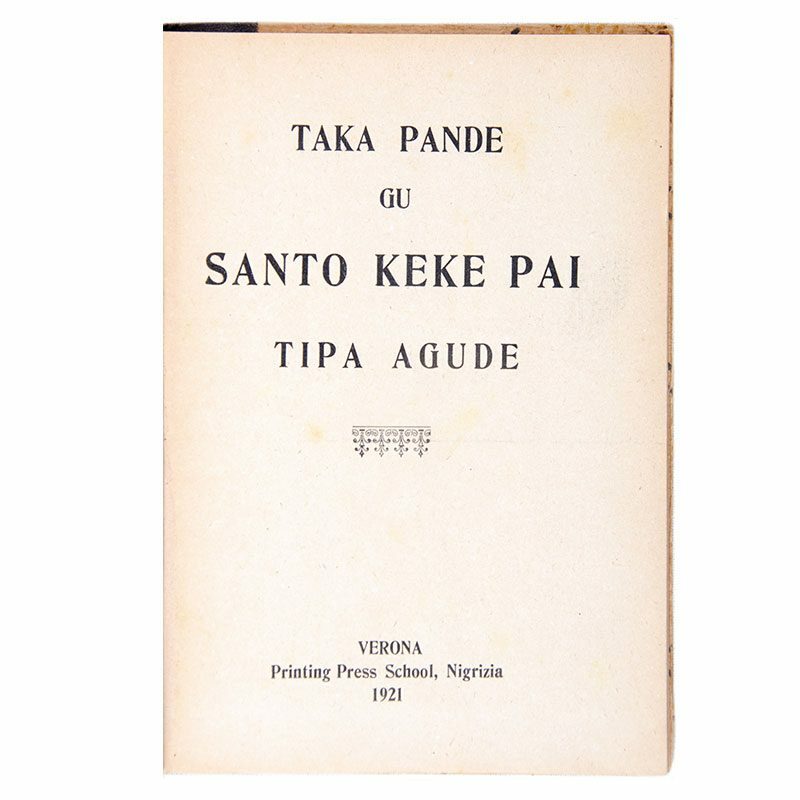 Taka Pande gu Santo Keke Pai Tipa Agude. Verona: Printing Press School, Nigrizia, 1921 Contemporary cloth backed paper covered boards, Fcap.8vo. [17 cm.] 118pp. text-illustrations. Contemporary black cloth backed paper covered boards entitled in ink on the upper board “Zande (Sacred History)”; however this contains bible stories. An apparently unrecorded work, neither listed on COPAC nor OCLC. From the John Lawson collection with his bookplate.